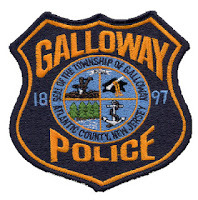 According to Galloway Township Police, several vehicles collided on the White Horse Pike on July 10, 2013 at 4:58pm. A 2001 Mazda driven by Dominique Flipping of Mays Landing struck a 2010 Infinity driven by Miguel Higgins of Willingboro. The Infinity was slowing with westbound traffic on Route 30 as vehicles attempted to avoid a turtle in the roadway. Both occupants of the Infinity were taken to ARMC Mainland Division by Galloway Township EMS. Their injuries were did not appear serious. The turtle was located under the Infinity, and unharmed. It was released into the woods by police. Both left lanes of Route 30 were shut down for approximately 1 hour while the vehicles and debris were removed. The driver of the Mazda is being charged with careless driving. Officer Steve Garrison is investigating the accident.